Perhaps I'm the only one who finds this funny. Cashiers and packers will get this joke. 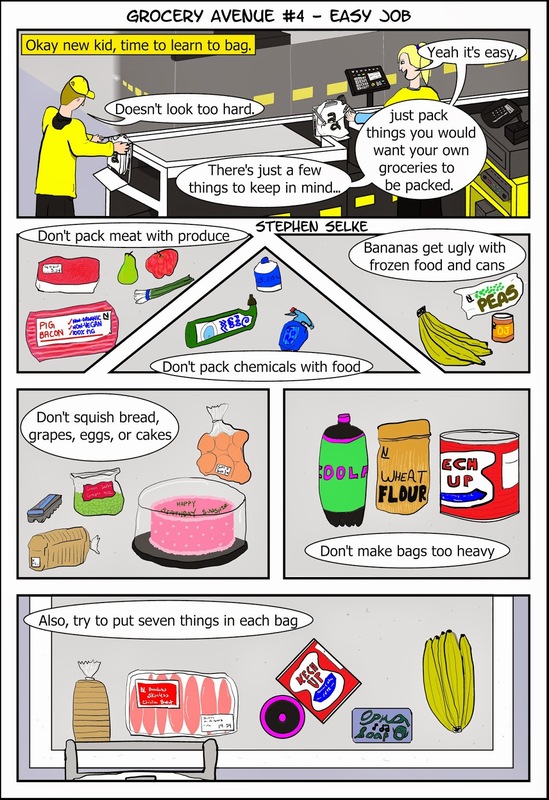 A real packer will also involuntarily automatically analyze the last panel and work out how they would bag those groceries.